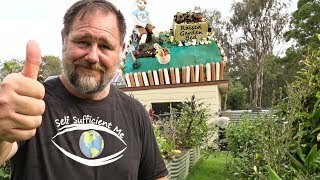 Updated on 5th Sept 2017 If you have been reading Self Sufficient Me and watching some of my YouTube videos over the past several years you'll know how passionate I am about raised bed vegetable gardening. 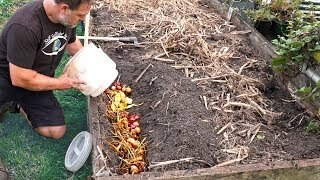 There are many advantages raised bed food gardens have over the traditional in-ground garden beds that use the furrow method (like crop farmers do). The most obvious advantage is how raised bed gardening is more forgiving on the back when you're working in the garden preparing beds, maintaining plants, or harvesting backyard crops. Unfortunately, for whatever reason there are a number of false myths circulating around the gardening community worldwide about raised beds and in this article I'm keen to put to bed (like the pun...) some of the most popular myths about raised bed food gardening. So, here are the top ten myths about raised bed gardening busted! A large mound of dirt or a raised furrow doesn't heat up much hotter than the surrounding ground soil and the same is for a raised garden bed. The sheer mass of a raised garden bed makes it different to a 10 inch pot; therefore, a raised bed can't be described as an oversized pot because there is simply no comparison. In fact, the depth of a raised garden bed means the soil below the surface remains cooler than the normal soil at ground level. Not so long ago, a person who lives in Florida (USA) posted a message on my Instagram images about one of my raised garden beds stating "our plants would get cooked if we used such a bed in our subtropical climate here," and it made me think about writing this article to clear up this common misconception. I just so happen to live in a subtropical climate and the summers here can be unforgiving; however, I've never seen or experienced plants getting "cooked" in a raised bed due to the whole container heating up. Even raised beds made from steel, which could be expected to absorb heat more than wood, remain at a normal temperature. I'm confident in saying, there's little truth in the myth raised bed gardens overheat. Last year, I visited a friend who lives on acreage and they were in the process of getting into food gardening. I noticed they had prepared an area for a large vegetable garden and I asked if they were going to make a series of raised beds. To my amusement she said, "oh no, we're not going build raised beds because they take too much water to maintain." By the confidence in her statement, I could tell that there was no way to convince her that raised garden beds are not evil water wasters so I politely smiled. Traditional in-ground furrows waste as much water (if not more) than raised beds because a lot of the water simply runs off down the pathways or gets evaporated. Whereas, raised beds absorb water and actually contains run off whilst preventing erosion especially in areas with a heavy rainfall. The only time people get the impression raised garden beds take too much water is when the medium (soil) they fill them with is too loose or sandy. Just like an in-ground garden bed (or even a pot) the growing medium needs to have reasonably good water holding qualities otherwise it will dry out too fast. If the raised garden bed is filled with good quality soil not too light and not too heavy there won't be any problem with the bed retaining water and being a good growing environment for plants. Furthermore, if you are really concerned about water holding in your raised bed then why not build in a wicking area in the base of the bed? It's true when you first build a raised garden bed it needs to be filled and this generally incurs an extra cost; however, it needn't be as expensive as people tend to make out. The problem arises when all the soil is purchased in bags from the garden centre and often this practise is encouraged by the retailer (for obvious reasons). I've even seen labelling on packaged raised beds in store or online stating this bed takes 17 bags of "branded" garden soil etc... At $9 per bag I admit filling a raised bed this way is expensive! 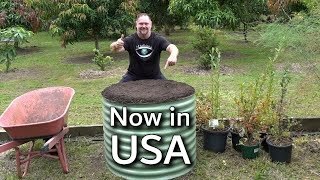 However, the best way to fill a raised garden bed is to purchase the soil in bulk either by visiting a landscaping centre with your trailer and purchasing a load of soil for between $40 - $60 depending on the quality you want; or alternatively, get the soil delivered usually for a small fee. The other mistake people often make is filling a high sided raised bed from bottom to top with premium garden soil. Most vegetables and small fruiting crops only require a maximum of 30-40cm (a foot) of topsoil to thrive. Therefore, filling a 2 foot high raised bed full of good garden soil is a waste. What I usually do is fill the bottom half of the bed with organic garden waste. Things like, logs, sticks, pulled weeds, leaves, etc and then on top of that I throw my good garden soil. In the past, I have also used sand, crushed granite, or poor soil from down the back of my property as a "fill" for the bottom half of the bed but lately I have moved towards softer organic matter as mentioned above. These organic materials create a living substructure in the base of the bed attracting microbes, fungus, worms, and other animals in turn helping to make the overall bed healthier. Over time, the organic matter breaks down and turns into rich soil to be used by your hungry food crops. This is particularly advantageous for places where the existing soil is poor to begin with because you can effectively create you own soil in the raised beds and immediately being growing crops all at the same time as growing your soil! Yes, this is the opposite to myth 2 and even I fell for this one when I built my first high sided raised beds. 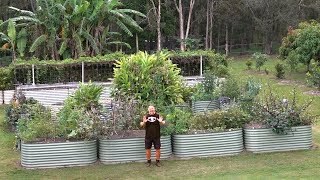 About 8-10 years ago, when I purchased our first colorbond steel 85cm high raised beds the advise I received recommended I use drainage material (such as crushed granite) in the base of the bed to allow for good drainage. Over the years, I have now come to realise this "drainage method" for raised beds is a complete myth! The truth is, you could fill a raised bed with all the same good garden soil without any drainage at all and still have no problems. Most raised garden beds are simply mounds of dirt contained by a border keeping the soil from falling away and because there's no base excess water will eventually drain through the bed naturally and effectively without the need for a special drainage medium in the bottom. An exception would be garden pods or raised beds with an enclosed base or wicking beds, but a standard raised bed situated above ground with an open base doesn't technically require drainage at all. If people are worried about the longevity of a raised bed they shouldn't be... I've used wood, galvanised, colorbond steel, and poly, for several different types of raised beds on my property and all of these materials last a decade or twice that time (maybe longer). Yes, I have some pine sleeper beds that are looking a little ragged at the 10 year mark; however, I'm not going to replace the wood anytime soon because they're still doing the job at holding the soil in place even though they don't look the best. In testament to how long some of these beds do last you can see on eBay here in Australia how many are for sale secondhand - there's heaps! For readers in the USA, I often get asked where are these "steel" raised beds because I can't find them in the US but let me assure you they are slowly growing in popularity in America also and some styles can be found here on Epic Gardening from Kevin. Overall, raised garden beds made from wood will probably last the shortest at around 10 - 15 years before they require replacement and those made from galvanised/colorbond steel should last twice or three times longer. I admit there are certain materials that are more expensive than others when deciding on purchasing a raised bed. One of the most popular types of raised beds is the colorbond steel and several years ago colorbond or galvanised beds were more costly than compared to today. Thankfully, the rise in popularity and competition between sellers, plus perhaps the drop in steel prices has reduced the average cost of a steel raised garden bed considerably. If you are willing to build your own raised bed there are plenty of cost effective materials you can use such as; wood, wooden sleepers, old pallets, secondhand bricks, all sorts of recycled materials, etc. You can make the design simple or make the bed customised to suit your overall home or landscaping theme depending on your budget. Concrete sleepers have been gaining in popularity and are only slightly more expensive than hardwood but obviously last much longer, which should be taken into consideration when comparing prices. Whatever you use for your raised bed be it cheap or expensive it will eventually pay you back in food and convenience. There's little evidence (if any) showing negative effects of chemicals leaching into the soil from materials used in raised bed gardens. And, hypothetically if chemicals did leach into the soil I have not seen any evidence or study showing vegetable plants actually absorb these pollutants anyway. 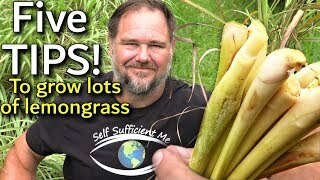 Plants are programmed to take up water, nutrients, or minerals etc and whilst a chemical in the soil may burn a root system thus kill a plant, or prevent the take up of nutrients, there's doubt it would readily absorb bad chemicals showing nil effects and then pass these pollutants on to us when we eat it. Colorbond and steel have been used in Australia to store drinking water for households and livestock for 100 years also over the past few decades poly tanks and garden beds have become popular. There's no evidence (that I'm aware of) to the contrary other than these materials are safe to use for food plants. I know there's particular concern over the use of treated pine sleepers for raised garden beds and I do understand how people can be apprehensive about using these products particularly when building a raised garden bed to be used to grow food. For those who are concerned, I recommend using untreated hardwood or even concrete sleepers for DIY raised beds. Personally, I have used treated pine for raised garden beds before and just to be on the safe side I lined the inside of the wood with builders plastic. Also, I believe there is a new treatment for pine sleepers that has recently replaced the old treated timber, which is supposed to be food garden safe so look for this product as well. With respect to other types of raised beds such as steel and poly (or plastic), I wouldn't worry too much about it, to be honest... your soil is likely to have more contaminants in it than anything your raised garden bed may or may not leach out. In my mind, the fear of moving house is a poor excuse for not getting raised beds. At the end of the day, just as raised beds can be easily built they can also easily be taken down and moved. If the extra soil can't be relocated for either practical or quarantine reasons then leave it at the old residence and spread the soil out around the existing garden. Too often, people make excuses preventing them from living a more healthier lifestyle such as growing fruit & veg and the fact that we might move house one day is simply not a justifiable excuse for not building a raised bed garden or two. I've touched on this point already throughout this article and I can confidently say if I can build a raised garden bed then anyone can! I'm not the most gifted handyman but these days flat packed garden beds are dead easy to assemble and some take just a few minutes! You can also buy raised garden beds already assembled, get them delivered, or use your own trailer to transport them. If you decide to build your own raised beds there are many ways and construction products that make joining wood or setting bricks so easy it's basically stack, fill with dirt and plants, and enjoy! So, don't be daunted by the prospect of building your own raised garden bed. Well there's 10 myths about raised garden beds busted! If you are considering building some raised beds for your vegetable garden I hope the information in this article has helped or inspired you. Feel free to comment or give your tips on raised bed gardening below in our Facebook comment section, or also in our general comments section if you'd prefer to comment as a guest (scroll down a little further). Hi, I’m creating a raised garden bed out of some old 44 gallon drums. They still have the base on them. What do you recommend I use for drainage? I was thinking from bottom to top. Something for drainage, organic matter (sticks,weeds and leaves), compost and then 40cm of premium soil. Is this order correct? Also should I drill some holes at the bottom of the gallon drums to allow the excess water to drain out or should I just leave it (like a big pot plant)? Yes you should definitely place some drainage holes in the base of the drums otherwise water will pool in the base and go stagnate plus they could fill with water during long rainy periods. As far as materials go, sticks and leaves etc would be fine in the base leaving the top 40cm for soil and compost. All the best! 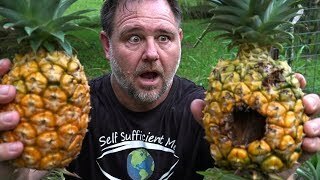 Stumbled upon your site looking for info on growing dragon fruit organically! ....then went sniffing around and liked what you're doing. I live in Darwin and it is really difficult finding info for our climate, which is just a bit different from a lot of other wet/ dry tropical climates....even in Oz, Broome, Kununurra, Cairns, Townsville.....all a bit different from each other! There is an active community in Darwin, but no-one has bothered to put up a lot of info like you have. Re: raised beds......I have heaps from scavenged materials (several from roof/ fence leftovers). Like you, I don't want to bend over. I was concerned about watering at first. Originally, I used drip lines, but found it appeared to drain too fast and not spread out enough.....maybe the lines were too far apart.....anyway, put in a micro under tree system and much better for the hot weather. Been a bit lazy in mulching. I've done the same as you in filling it up. Keep up the good work! thanks for saying g'day mate and writing such a comprehensive comment - I really appreciate it when people give their thoughts. I know what Darwin is like (lived there for about 10 years) and it's true what you say about it's unique climate! I'm glad you got the watering for your raised beds sorted also as you alluded to try to mulch as much as possible and improve the soil in the raised beds by adding rich compost etc to help hold the water longer - this will make a big difference. All the best!